Kaiba Corporation (海馬（かいば）コーポレイション, Kaiba Kōporeishon), usually shortened to "KaibaCorp" or abbreviated "KC," is a corporate entity specializing in the entertainment and gaming industry; more specifically, it is aimed at creating technologies centered around the Duel Monsters game. The company was previously controlled by Gozaburo Kaiba and later Seto Kaiba, who were both the majority stockholder of KaibaCorp. The corporate headquarters is located in Domino City (briefly called "Battle City" when the KaibaCorp-sponsored tournament of the same name took place there). The company's most-prized product is the Duel Disk, a dueling system which gives the card-based Duel Monsters game a holographic interface. 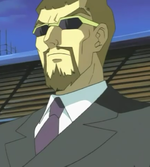 The corporation also owns and operates Duel Academy in Yu-Gi-Oh! GX. KaibaCorp expanded into other areas of the gaming and entertainment industries with the creation of the amusement park Kaibaland. Two parks were built; one in Domino City and the other in California in the United States. It was the culmination of the Kaiba brothers' dream to create a park for orphaned and underprivileged children. KaibaCorp was originally a military arms dealer owned by Gozaburo Kaiba, until it was drastically reformed by Seto Kaiba after his hostile takeover. Seto's rise to power involved direct manipulation of The Big Five, Gozaburo Kaiba, and Mokuba Kaiba. Due to this, as well as KaibaCorp's past as a weapons company, Seto is often brought to blows with those who have a vendetta against either him or the company. These include the individual members of The Big Five, Gozaburo Kaiba, and his biological son, Noah Kaiba. Alister of the Doma arc also sought revenge for his little brother, who was killed in an attack by a military organisation with artillery funded by KaibaCorp. Later, this attack is revealed to have been ordered by Dartz, who was masquerading as Gozaburo Kaiba. These clashes have often been the foundation of several story arcs in the series including Legendary Heroes, Waking the Dragons, and Virtual World. 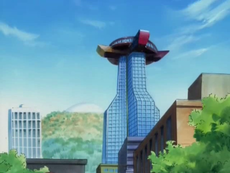 The KaibaCorp building is seen numerous times in Yu-Gi-Oh! 5D's, with a new design, from aerial views of New Domino City. 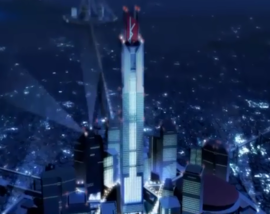 In the opening, "Kizuna," "Stardust Dragon" is shown flying up the side of the building. 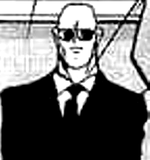 It is unknown who designed the new KaibaCorp and who controls the company as CEO in 5D's. KaibaCorp was responsible for turning Domino City into New Domino City, as well the creation of the Turbo Duels, a type of Duel which is only played by either using a "Duel Runner" or a "Duel Board." 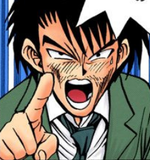 The company is mentioned by Rex Goodwin, who informed Greiger that if he succeeded in revealing Yusei Fudo as a Signer, KaibaCorp would fund the revival of his village. During the English dub only, KaibaCorp is also mentioned by Blister to Yusei describing how he was offered a contract from KaibaCorp to go into Professional Dueling. 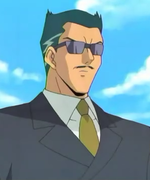 The deal would have given him a chance to duel with Jack Atlas, Aster Phoenix, and Truesdale (It is not stated if this meant Zane Truesdale or Syrus Truesdale). Most notable of KaibaCorp's rivals is Schroeder Corp, headed by Zigfried von Schroeder. The Schroeder family had been rivals of the Kaiba Family even before Seto's takeover. 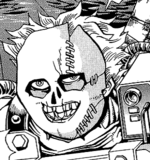 They were also once a military dealer like KaibaCorp, but when the previous CEO went mad, Zigfried took power and changed the company to a games maker: as it would happen, this runs concurrently with Seto's rise to power, and the subsequent reforming of KaibaCorp to become a games company. Schroeder Corp and KaibaCorp both researched and developed holographic projection systems for Duel Monsters, but KaibaCorp's system was patented and marketed first. Zigfried was furious over the fact that Seto always seemed to be one step ahead of him, and until his defeat at the KC Grand Championship, was obsessed with ruining KaibaCorp. Another notable company is Industrial Illusions headed by Maximillion Pegasus. It is important to note that KaibaCorp's technology, especially the Duel Disk, ran seamlessly with the Duel Monsters game created by Pegasus, and both companies have previously worked closely together to make this possible. Seto Kaiba and Pegasus are in fact old associates who met when Pegasus was still an active participant in the dueling world, although his bids for the ownership of KaibaCorp have since driven a rift between them. Pegasus still (somewhat mockingly) regards Seto Kaiba as a friend, however. Paradius, run by Dartz, the main antagonist of season 4, Waking the Dragons, is also a company worthy of mention. Paradius initially owned a small portion of KaibaCorp, but ended up buying it outright. Alister bought almost 50% at first, but it's unknown if he used Paradius or Industrial Illusions to do so, as when he tried to buy KaibaCorp, he was posing as Pegasus. It's unknown what happened to Paradius as an organization after Dartz was defeated. In Yu-Gi-Oh! The Falsebound Kingdom, the company SIC does similar work to that of KaibaCorp. It is run by Scott Irvine, a former KaibaCorp employee, who helped develop the Disk 2 (He can also be seen in the anime). Allegedly a gaming technology company, its true goal was to control the Egyptian God Cards. Finally, in the Yu-Gi-Oh! R manga, which takes place after Battle City and before the Doma arc, the Kaiba brothers are in the United States on business. KaibaCorp is attacked by Pegasus' protege, Yako Tenma, who wants revenge on Yugi for defeating Pegasus. He captures Téa, and uses her as a vessel to try and use the Wicked Gods to bring Pegasus back, believing that Yugi had killed him. The Kaiba brothers eventually return, and with Yugi, Joey, and Seto Kaiba's combined efforts, Tenma and his servants are defeated. Seto Kaiba Current head of the company (as of Yu-Gi-Oh!). 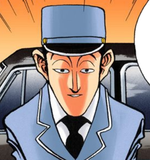 Gozaburo Kaiba Former head of the company. Mokuba Kaiba Vice President of the company/Battle City commissioner/KC Grand Championship commissioner (as of Yu-Gi-Oh!). Noah Kaiba Former heir to President and possible ex-Vice President of KaibaCorp. Dartz Briefly major shareholder in the company and possible president of KaibaCorp in season 4. Bought KaibaCorp in the story arc Waking the Dragons. Gansley Vice President of Business Strategy and founder of The Big Five. Crump Accountant and member of The Big Five. Johnson Legal adviser, lawyer, and member of The Big Five. Nezbitt Technical expert and member of The Big Five. Leichter Gozaburo's (later Seto's) former right hand man and member of The Big Five. Roland Seto Kaiba's right hand man. Kemo Bodyguard (spy for Industrial Illusions). Hobson Kaiba family butler, Game Master, and Torturer. KaibaCorp guard Bodyguard (spy for Industrial Illusions). Aileen Rao Game Master (first anime only). Ridley Sheldon Game Master (first anime only). KaibaCorp's change from being a military company to a gaming company shares a similarity to the fictional ENCOM company in the Tron Franchise. In the 2nd series Anime, Noah Kaiba was intended to be the new head of Kaiba Corp after he passed Gozaburo's tests. However, Gozaburo felt that Noah couldn't run Kaiba Corp as Noah was stuck in a virtual world with no body following his untimely death. 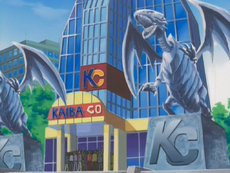 In the Yu-Gi-Oh universe, KaibaCorp is a prominent and wealthy company by how it produced and popularized dueling-related paraphernalia beginning with the Duel Disks, the founding of Duel Academy and later the production of Duel Runners. This page was last edited on 31 January 2017, at 01:09.